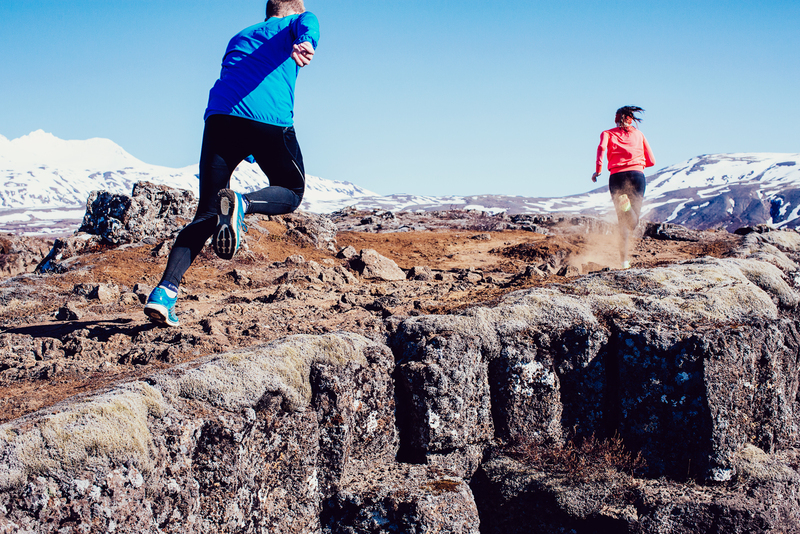 Beautiful scenery, great running paths, and plenty of fresh air—running in Iceland’s capital is definitely a treat. 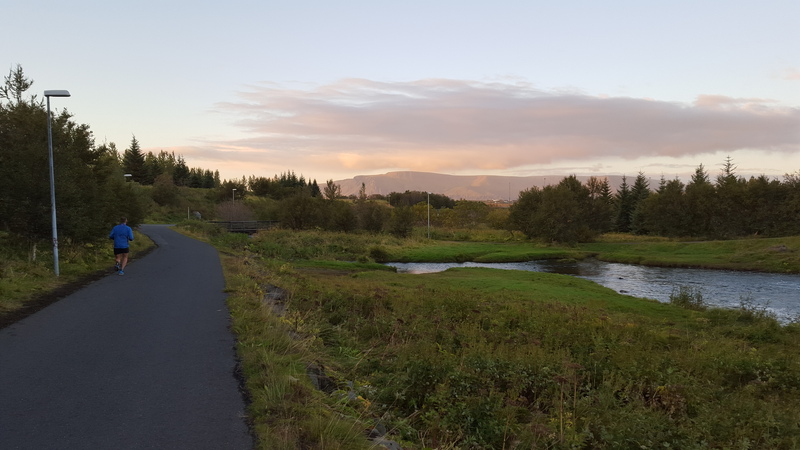 Reykjavik and the surrounding areas have an extensive amount of running and biking paths. Wherever you are staying you can be guaranteed that great running paths are just outside the door. And new ones are being made every year. The paths take you away from the traffic and the city hustle and bustle. Most of the best and most scenic paths can be found near the coastline, both on the north and south side of the city. The paths are mostly well connected. For example, you can run from the center of town along the coast on the south of Reykjavik, around Elliðaárdalur in the east part, and then over to the north side of Reykjavik along the ocean – well over 20 kilometers – only crossing the road once! The map of the Long run shows part of this route. Icelanders love their swimming pools! 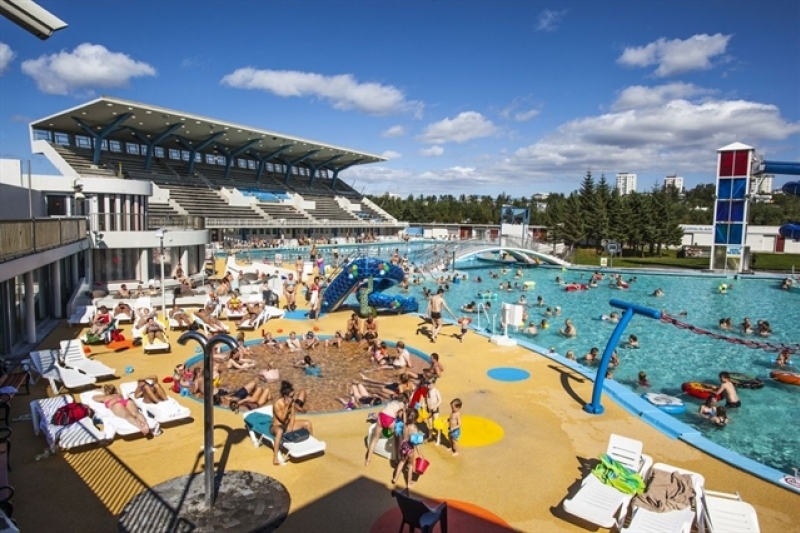 There are no less than 16 swimming pools in the greater Reykjavik area. Many running clubs and individuals start their run from the local pool and soaking in the hot tub after a run is a long standing tradition for Icelandic runners. Recently, many swimming pools have set up cold tubs as well which are gaining popularity among runners who believe that going into ice cold water helps sore muscles and improves recovery. And the hot tub feels even better after 30 seconds in the freezing cold! Many swimming pools have maps that show running routes from the pool. Reykjavik has the charm of being close to nature. Even though you are in the city center you do not have to run far to get away from the city and enjoy the nature. 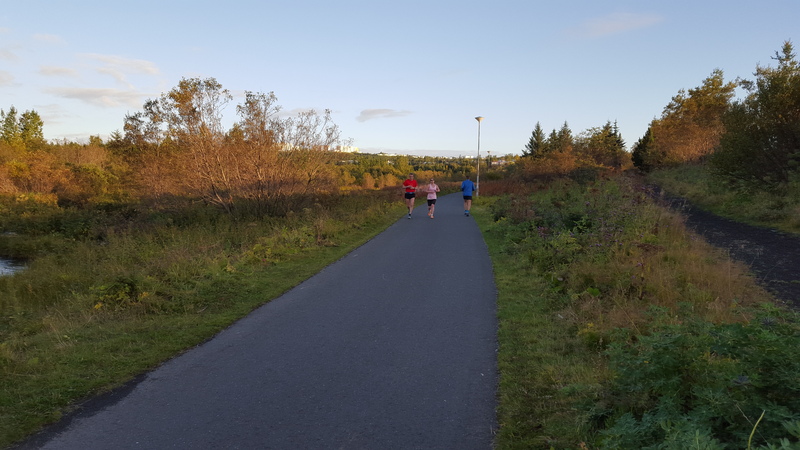 Fossvogur is one of Reykjavik’s favourite running areas. It is a small valley featuring woodland, grassland and a small creek running through it. Öskjuhíð is a hill and a popular outdoor area, covered with trees with the Pearl on the top. 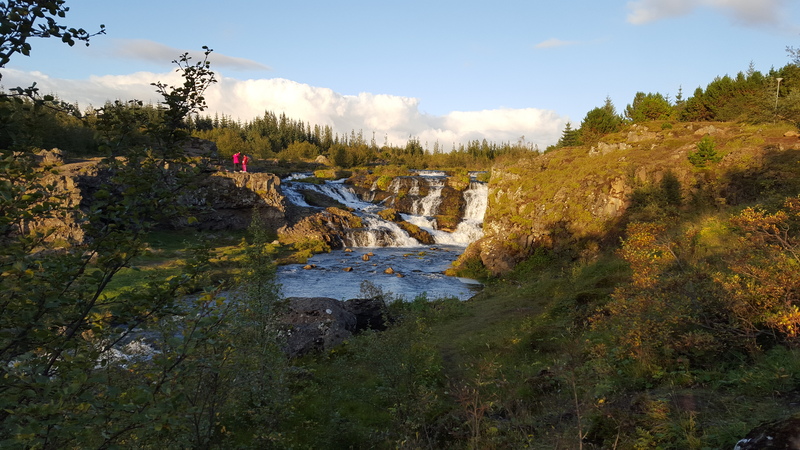 Another favorite is the beautiful Elliðaárdalur with its green nature, a river and a small waterfall which in our opinion is one of the gems of the city. See our map of a 10K circle which takes you around Elliðaárdalur and Víðidalur as well. Mt. Esja is only 15 minutes outside of the city with great hiking trails and even closer is Heiðmörk, the dreamland of Reykjavik trail runners. Those of us living in Reykjavik sometimes take it for granted, but the views on many of the routes are simply stunning. Enjoy the view of Mount Esja and the surrounding mountains while running along the ocean on the north side of the city. The south side of the city also has a gorgeous ocean views. Keep heading west and you will eventually reach Grótta with its lively bird life and in the east there is Elliðaárdalur with its river and green valley. And if you want to look at the other sights in Reykjavik, a great way to see the city is in your running shoes. Since Reykjavik is not a big city the main sights can easily be explored in a running tour lasting one hour. We have made a 5K and a 10K circle which takes you past many of Reykjavik’s most popular sights. The sights include, among others, the Harpa Concert Hall, City Hall, Althingi, Hallgrimskirkja and the Solfar sculpture. See the map of our Sightseeing Run. 5. Perfect running conditions – most of the time! 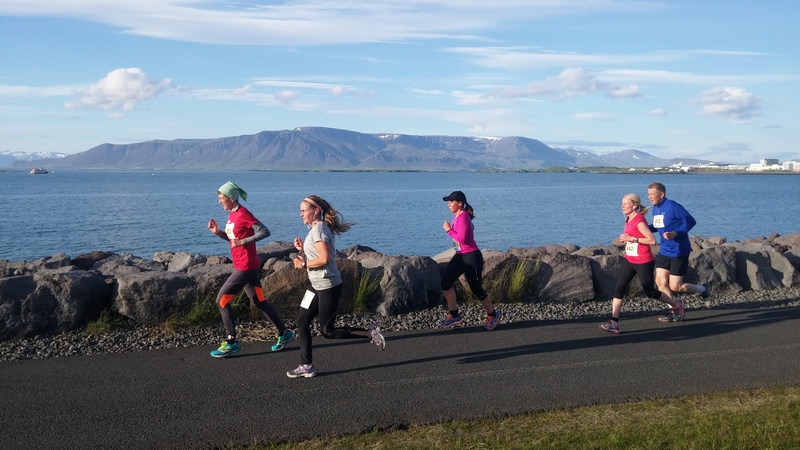 The weather in Reykjavik is optimal for running – in the summer at least! It’s never too hot and never too cold, as the temperature almost always stays between 10 and 20 degrees Celsius. The winters aren’t too cold either, the temperature rarely drops far below zero. There is of course more chance of heavy wind, rain or snow during the winter months, but that only makes it sweeter to finish the run. The long daylight during the summer months also makes Reykjavik a very attractive city for runners. Try going out for a run late in the evening with the midnight sun shining, it’s an experience you won’t forget.